Hailing from Charlotte, NC, multi-instrumentalist Luther S. Allison was first exposed to jazz just over a year before graduating high school via a local non-profit organization named Jazz Arts Initiative, directed by Lonnie and Ocie Davis. 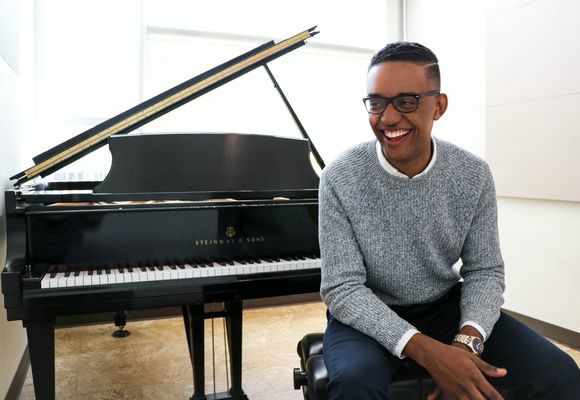 Since his involvment in the organization in high school, Allison had the opportunity to play alongside Donald Harrison and Delfeayo Marsalis before entering college at the age of 17. Over his time at The University of Tennessee, Allison had the opportunity to perform alongside Greg Tardy, Donald Brown, Conrad Herwig, Steve Davis, Marshall Gilkes, and Tom "Bones" Malone to name a few. At the age of 19, Allison was asked by Michael Dease to play drums on his 2017 record Father Figure. One year later, Allison went back to Brooklyn to record piano on Dease's soon to be released album. Allison just graduated from The University of Tennessee with his Bachelors of Music in Studio Music and Jazz with a focus in both Drums and Piano, and will continue his studies at Michigan State University in the fall for his Masters Degree.